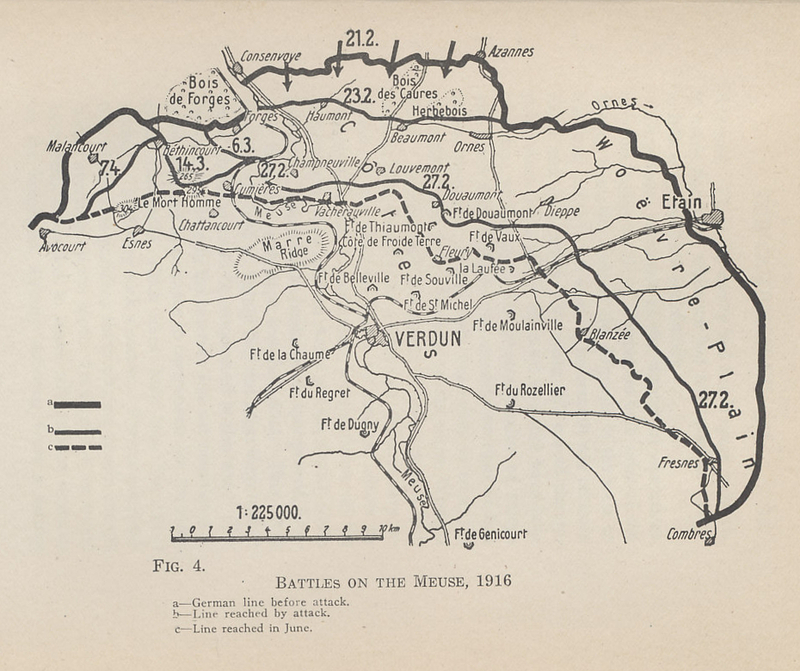 Map of the battlefield of Verdun, showing the line on February 21, 1916, when the initial bombardment began, the line reached in the first days of the offensive, and the line reached by June. 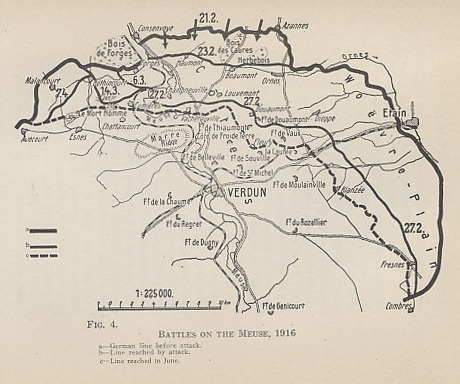 From 'The German General Staff and its Decisions, 1914-1916' by General Erich von Falkenhayn, Chief of the German General Staff, who staked his position on the Battle for Verdun. He was replaced in August, 1916.